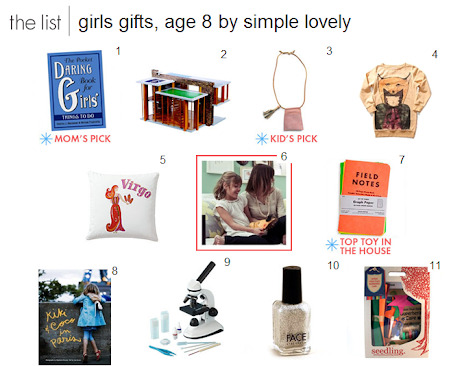 Audrey and I worked together on selecting our favorite gifts for an 8-year-old girl over on tada! shop. 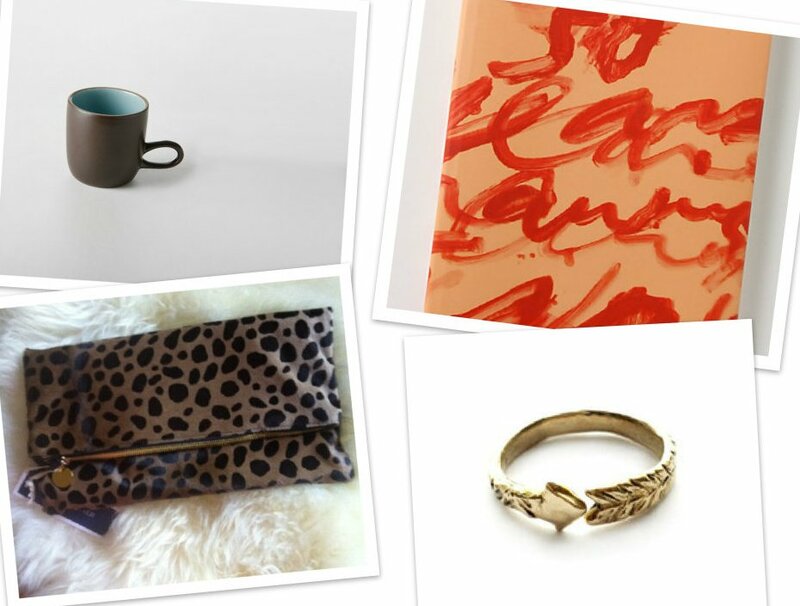 And last but not least a few things I'd love to give (or get) over on modern eve. I think there's a bit of an art to selecting a (really) good gift... You have to channel the recipient and home in on what they truly love, what makes them tick, what delights them. But to really get it right, I would propose there's a bit of "soothsaying" required, as the best gift (in my humble opinion) is something you really didn't know how much you'd love (use, need) until the giver presented it to you. So I was really excited when the fantastic folks at Etsy, the lovely ladies at tada! shop, and my friend Katie of Modern Eve asked me to share some favorite gifts this year... I had a blast pulling the respective guides together, sleuthing out lovely things for kiddos (actually Audrey's responsible for that guide) and besties alike, so in lieu of doing a full-blown gift guide here on Simple Lovely this year, I thought I'd share these with you guys. So...What's on your list this year?? Great guides! Love the sky scraper necklaces, spoon rest, S&P cellars, wood board and modern white mobile!! Hmmm. 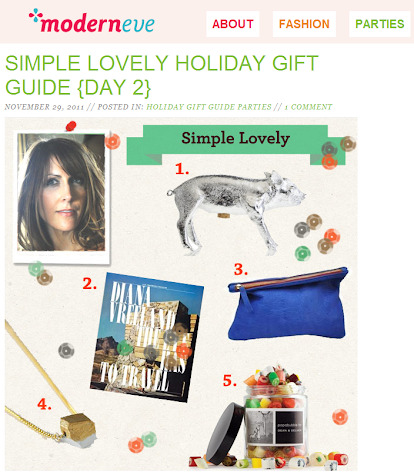 Mostly this would be a gift guide for me :) Thanks! Okay, are you singled-handedly trying to amass the largest collection of Vivier clutches? I get it - they're irresistable! I definitely know what you mean about the best gifts being the ones you unexpectedly use and love. For me, on the flip side the best gifts to give are the ones you don't plan to get. You see it at the store or online and go "that's it. that's the one"
my wish list is always on-going. The mister already surprised me with a new mac book. I'm smiling. Big time.